The group was the brainchild of Leeds based Claret Steve Hodge who thought there were enough Burnley supporters in the area to form a Leeds Clarets. He contacted me to discuss the possibility and we met for the first time at the Crystal Palace away game in October and put the plans in place to arrange (Steve) and publicise (Clarets Mad) a first meeting. That first meeting was held on 17th November 2005 in Leeds with a healthy attendance but there was a surprise outcome from the meeting. 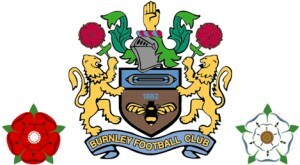 Leeds Clarets were not formed but instead they created West Yorkshire Clarets which would cover a wider area. That has certainly been the case. Rather than monthly meetings in Leeds, they've travelled all over the county, taking in various towns and cities for their regular meetings and the group has grown and grown. They are a member of the Burnley FC Supporters Groups and have been at, and presented trophies at, every Supporters Clubs Player of the Year Evening since. Their tenth anniversary meeting will be held tonight in Halifax with the usual start time of 7:30 p.m. For those who have been before, it is the regular venue, but for those who haven't and would like to go, please EMAIL West Yorkshire Clarets for the details. With no meeting in December, this is the last meeting of 2015 with the next one scheduled for January.